Join us on our Vanuatu President Coolidge Diving Trip. Experience the best large wreck in the world! One island in Vanuatu, more than any other attracts divers like a magnet – Espiritu Santo. The majestic beauty of Santo is what inspired James A. Michener to write his classic “Tales of the South Pacific.”Approximately 50 minutes flying time from Port Vila to Santo, Air Vanuatu operates daily services between the 2 islands. 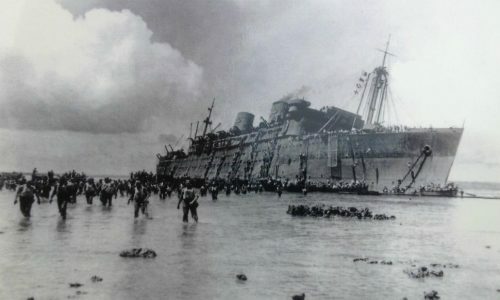 The 298 metre long 22,000 tonne former luxury liner turned troop ship, complete with munitions, military supplies and personal belongings is one of the largest and most accessible wrecks in the world.